Sticking to my LOVE for online jewellery stores, I've come across another one called Daisy Does. Everything on the site is absolutely beautiful and unique. 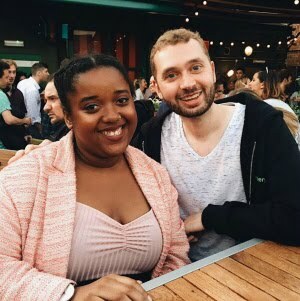 Sticking to what I've previously said when talking about jewellery, I love pieces that really stand out and represent what kind of a person you want to be known as and I definitely couldn't agree more that this website is perfect if that's what you're trying to achieve. Everything on the site varies from £8.00 upwards which is such a bargain. This is one of my favourite bracelets that I saw off the site. 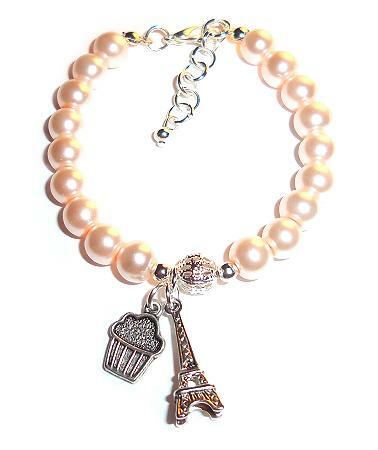 Daisy Does is actually inspired by Paris so I thought the idea of this bracelet is excellent. I also love Paris, muffins and tea so I think this would be a great purchase for me. There's a section on the website called 'Daisy Sparkle' which is honestly so beautiful and even though it's quite pricey I think it's so worth it. 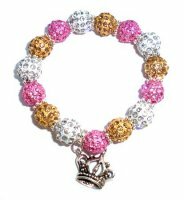 It's got white, pink and gold rhinestones on it and ends with a crown charm to add to the finishing touches. The final thing I really loved was this necklace off the site. There's nothing better than a necklace that makes the biggest STATEMENT. 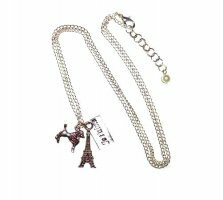 Sticking with my Paris theme it includes charms with the Eiffel tower, a poodle and says 'Je t'aime' on it. The price for this is also a bargain. The lovely Daisy the creator of Daisy Does has given me a discount for any readers. Definitely have a look on the website http://www.daisydoes.net/store/ and if you do make a purchase (DO IT) enter the discount code "VAZ2012" for a 10% discount on your order. What do YOU think about Daisy Does? If you do order anything let me know or if you've just got a general question comment down below and I'll get back to you.